DROP IN TENNIS LESSONS & PLAY!! 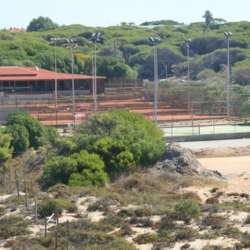 You must be a member of the Cascais Social Tennis & Sports Group to attend this activity. Would you like to join this group? Come along and have fun having group tennis lessons and practicing tennis too! The first lesson is free. All tennis players of all levels are most welcome!! We will have coffee and tea afterwards.